The Frizzle is of Asiatic origin, found in fair numbers in Southern Asia, the Eastern Archipelago and, at the turn of the century, in Mauritius. The Frizzle is a purely exhibition breed and is notable for its quaint feather formation, each feather curling towards the head of the bird. 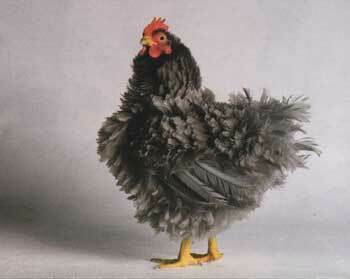 It is more popular in bantams than in large fowls.